This is the most important aspect of reunion planning- it’s not much of a reunion if no one can attend. 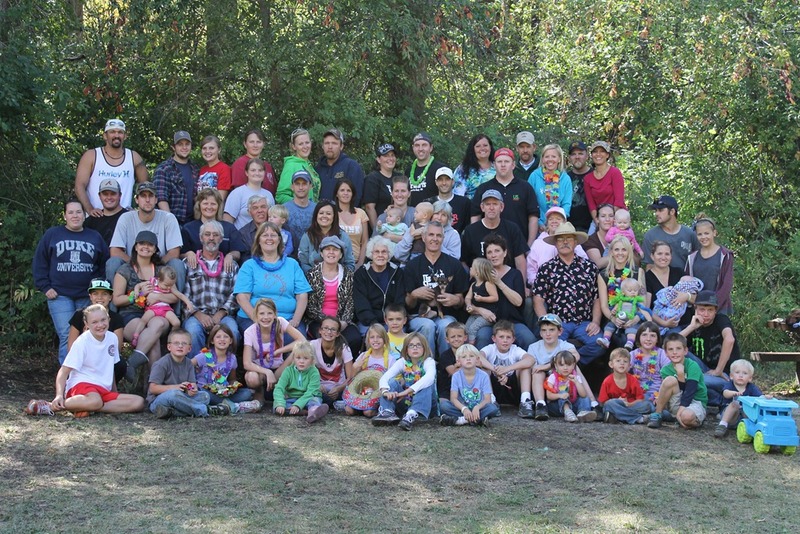 When we began planning the “Stewart” family reunion we were only working around about 20 people and it was fairly easy to find a date that was good for everyone, but now that we are more than 100 family members strong we would never be able to find a date that met everyone?s needs. Lucky for us, about 20 years ago we set Labor Day weekend as the permanent date for our family reunion. We have found that holding the reunion at the same time every year helps family members plan their busy lives around that weekend. They always know when the Stewart reunion will be and although the location may change the date never does. Unbelievable but true- we usually have all but about 3 family members attend our reunion each year. If you can?t choose a permanent date, plan your next reunion date before you end the reunion you are currently attending. Planning in advance will increase the odds that more people will be able to attend the reunion, which translates into more fun for everyone. If you book early, you can most likely get better rates and/or reserve your preferred hotel or retreat site, flights and other travel arrangements. Most campgrounds and parks can be booked a year in advance. Last of all, stick to your decision. Changing dates in the middle of planning can create a huge amount of anxiety and additional work. People always wonder why we have such good attendance at our reunions and I tell them, “Because everyone has a job!” There is always someway that everyone can contribute to your reunion no matter what their age or their ability. You can assign a couple of pre-teen girls to do a story time or games for the younger children at your reunion, ask a 5 year old to bring a can of olives or assign someone that loves music to lead a sing- a- long. It’s impossible to organize a reunion by yourself, I know, because I„ve tried it. Not only that, but it is good to have the input of different family members’ points of views. Family members that have a responsibility feel greater ownership in the reunion. Delegate tasks according to those with special talents, skills and connections. Our Uncle Ben owns a restaurant whose specialty is turkey steaks and quite often we have turkey steaks at our reunions or family parties. We have great Dutch oven cooks in our family and of course, we give them the opportunity to practice their skills. Use the resources that you have. There are certain jobs at our reunions that have become tradition- for instance cousin R.D. and Uncle Richard always make the homemade root beer, Aunt Lynn is always in charge of Bunko and Uncle Steven always makes his Dutch oven potatoes. So how do you put all these people and their great ideas together? Let me tell you how we do it. There are six original children in the Stewart family; we call them the “Big 6”. We schedule a planning meeting and ask that there be a representative from each Big 6 family at the meeting. These people become your liaison from each branch of the family. At the meeting we discuss our plans and make assignments, that way every family has a representative and if they have concerns they can be addressed at that meeting and each families? fun ideas can be implemented. We ask for volunteers to be in charge of each major aspect of the reunion – food, family history, invitations, photography, games and activities, finances and facilities. The chairman of the committee, that?s me, takes the ideas and suggestions home and makes a master plan or schedule which is emailed to the committee members for their approval. A reunion committee is essential to planning a smooth, successful family reunion. Be sure your chairman (if you?re reading this than the chairman is probably YOU) is creative, energetic and willing to put in the time and effort required to organize a reunion. Planning a family reunion is a too big a job for one person, so make a checklist, get some help, put your entire family to work and let everyone share in the satisfaction of a job well done! A theme gives your family get-together an added twist that can build excitement. Choosing a theme for a family reunion is a great way to interest people and make them more likely to attend your reunion. Who wouldn?t want to attend a “Caveman” reunion? A theme also makes it more fun to plan when it comes to being imaginative with food, games, activities, invitations and just about every other aspect of the reunion. If you have a wedding anniversary or a significant birthday coming up in your family you could choose to celebrate around those special events. If your grandparents were married in the 50?s, plan a fifties reunion complete with poodle skirts and sodas. If Aunt Addie will be turning 70, celebrate with her by having a seventies party- make tie-dyed shirts and decorate with peace and flower power signs. Just because it is a family reunion doesn?t mean the theme has to be centered on the family itself. Plenty of other party themes are perfect for a reunion. Plan a western, caveman, boot camp or other similar theme. A few years ago my sister-in-law suggested that we have a caveman reunion and I was pretty nervous about it- caveman? How do we do a caveman reunion? But we all shared ideas at our planning meeting and guess what- our caveman reunion turned out to be one of our best family reunions ever. Whatever theme you choose, design your decorations, food, activities and games around that theme. Your caveman theme might feature Brontosaurus burgers and a dinosaur egg hunt or a pirate theme might include Barbecued Parrot and a treasure hunt. Planning a family reunion requires serious effort and thoughtful strategic planning but if will follow these 3 important keys you will be well on your way to a memorable and successful family reunion. And who knows- maybe they?ll want you to be in charge next year too. This entry was posted in Family Reunion Ideas, Planning a Family Reunion and tagged familly reunion themes, family, how to plan a family reunion, keys toa successful family reunion, plan a familly reunion by Aunt Mo. Bookmark the permalink.